At the end of the day, the Niners will look back at safety Taylor Mays, and realized that he was nothing more than a wasted draft pick. It was a year ago the team took him with the 49th overall pick, and now he’s already gone, the 49ers practically gave him him away to the Bengals last week in a trade. 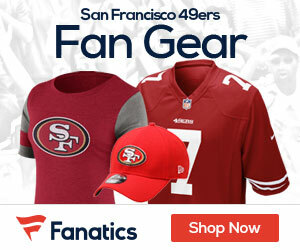 The 49ers received a seventh-round pick in the 2013 draft from the Bengals in exchange for Mays, Bengals radio analyst Dave Lapham reported Thursday on the team’s pregame show. When the trade was made last week, the 49ers and Bengals declined to disclose the terms of the trade. Mays saw limited action Thursday for the Bengals against the Carolina Panthers and recorded one assisted tackle. He is one of six safeties on the Bengals’ roster. Be the first to comment on "Mays Gone for a 7th Round Pick to the Bengals"